Looks like its too late to send in your resume: The London Metal Exchange (LME) may soon have a new boss and with only a slightly different name. Martin Pratt is rumoured to be a top pick for replacing the current CEO, Martin Abbott, sources familiar with the matter told Reuters on Tuesday. Pratt, 42, is a veteran broker coming from Triland Metals – a non-ferrous metals futures brokerage firm. 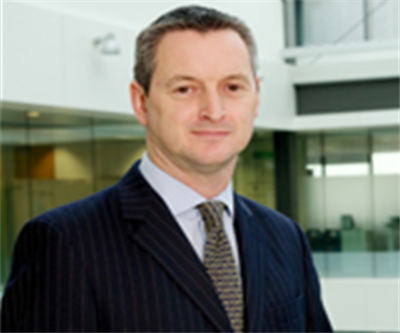 The LME is reportedly choosing him over its own chief operating officer, Diarmuid O'Hegarty. Last year Hong Kong Exchanges & Clearing Ltd. bought the London exchange for $2.2 billion. LME handles about 80% of global trade in industrial metals futures. Abbott, who spearheaded the sale, resigned in June after more than six years at the helm. If officially chosen, Pratt will replace Abbott at the end of the year for "one of the most important jobs in the metals world," according to commodities writer Jack Farchy. It's been a turbulent year for the LME so far: The exchange is currently battling several class action lawsuits on accusations of price manipulation with Goldman Sachs, JPMorgan Chase and Glencore Xstrata through warehouse hoarding. LME runs a network of more than 700 warehouses.